Beach Vacation Rental B: Great Location, Best Value! Enjoy a beach holiday year round in this spacious, fully-furnished apartment with a completely outfitted kitchen with dishwasher. We just renovated with a new kitchen, flooring and furniture. Also included is cable TV, DVD, wireless, high-speed internet, shared laundry facilities, and garage parking. The first bedroom has two queen beds, and there is a Cal King bed in the second bedroom. There is also a queen sleeper sofa in the living room. Set in a perfect location in this seaside resort, it is just a short walk to the beach, fishing pier, shopping and restaurants. Stroll along the beach or on the pier and watch the surfers at some of California’s best surfing breaks. Soak up the sun while lying on the beach, swim, boogie board, or watch the sunset. Beach chairs, body boards, a selection of wet suits, and fishing equipment are included. We had a great stay in San Clemente! We enjoyed the rental. It was clean, neat and in a great location with easy access to the pier and to local restaurants and shops. Bill went above and beyond to accommodate a request for an early arrival and his responsiveness was greatly appreciated. We would be happy to stay here again! Everything we needed and good value. Close to beach and downtown. Bill is a great guy, always available if you need assistance. Two bedrooms, great location, walk to beach or downtown. Garage, barbecue grill, etc. San Clemente has perfect climate, can't wait to return. We're a family of 4 and fit perfectly in the space. Patio area was convenient to grill dinner and hang up beach towels. Kitchen was stocked with everything we needed. Great location! Nearby shops include everything you need plus antiques, swim wear, surf shops, post office, and arts and crafts. Also, the public library is only one half block away. Casa Romantica is only a block away. You can reserve 2 or 3 of our units for your wedding party. The many restaurants to sample include Italian, Mexican, Chinese, Thai and Fisherman's on the pier. Also great cafes for breakfast and lunches. 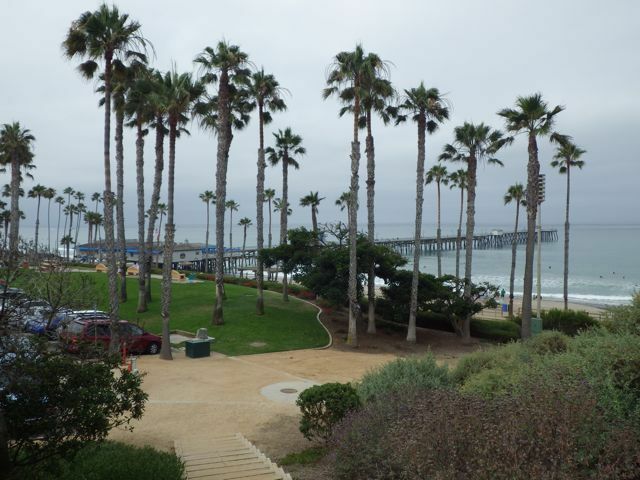 San Clemente is located midway between Los Angeles and San Diego and just an hour's drive from Disneyland, Universal Studions, Sea World, the San Diego Zoo. Also very nearby is Mission San Juan Capistrano, Laguna Beach, and Dana Point Harbor where you can picnic, visit the Ocean Institute, whale watch, fish, and rent Stand Up Paddleboards and jet skis. You can even go camping at Caspers Wilderness Park which is just a half hour away. CANCELLATION POLICY: Your reservation deposit is 100% refundable (minus credit card fees if any) until 30 days prior to your arrival date. More details are available upon inquiry. MID-TERM RATES: We also offer special discounted rates for stays of 12-29 nights for $115 per night. LAST MINUTE RATES: Ask about our last minute discount for bookings one week or less prior to arrival.